As a continued theme on the DB Sports Tours blog this week we have returned to work closer to home, today telling all our readers about a recent football trip to England for the NDSL under-11’s. Our relationship with the NDSL (North Dublin Schoolboy League) continues to grow, earlier this week telling our readers about how the NDSL under-13’s are set to take part in the Nordic Challenge Trophy. Today we can tell you all about the interesting trip for the under-11’s. 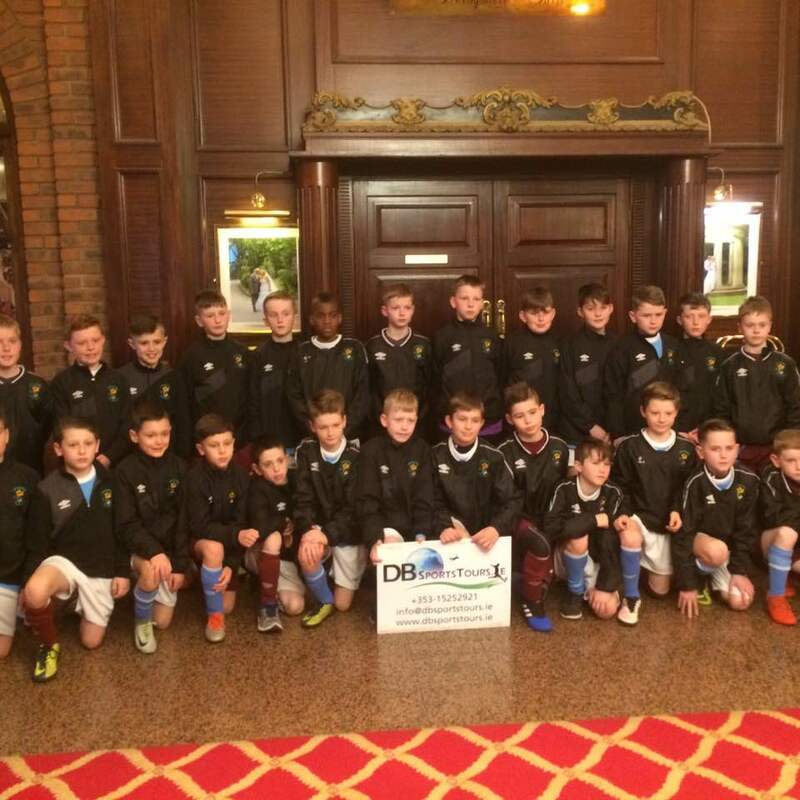 In a football tour arranged by DB Sports Tours we provided the NDSL under-11’s with the perfect settings to make the most of their talents, laying the foundations for their future careers, whilst ensuring fun was to be had too. The group set out on their soccer tour on Friday March 17, being collected from the Oscar Traynor Sports Complex, subsequently heading to Dublin Port and across the Irish Sea to Holyhead in Wales. From there the group headed for Manchester, wherein their sports trip would now truly begin. Following a swift 7am breakfast on Saturday morning it was time for the real work to begin on this football tour. Matches against Oldham Athletic AFC, Accrington Stanley FC, and Egerton FC would follow at Mereheath Lane’s Knutsford Lane Sport Complex. Oldham were the strongest opponent, beating all the NDSL sides. The NDSL side lost to Egerton 1-0 in the first game and 3-1 in the second game. Against Accrington Stanley FC the NDSL side fought well but lost 4-0 and 3-1 in both games. Following a tough morning of matches against UK opposition the NDSL under-11 group headed to Stoke-on-Trent to see Stoke City take on Chelsea FC at the Bet365 Arena in a highly anticipated Premier League clash. In what was an intriguing match for the group to be official flag bearers they bare witness to the champions-elect Chelsea FC defeat Stoke City 2-1, with Republic of Ireland international Jonathan Walters score a penalty. Everyone at DB Sports Tours would like to wish all of the NDSL under-11 group the very best of luck with the rest of their seasons. If you are interested in booking a similar trip for your club you can contact the office here. In the meantime you can check out our regularly updated blog here.